Original Editors - Sean Beard & Jimmy Crick from Bellarmine University's Pathophysiology of Complex Patient Problems project. BDD effects approximately 0.7% to 2.4% of general population. Specifically in the United States, 2.2% of men and 2.5% of women suffer from BDD. Typically patients notice symptoms during adolescence, on average at the age of sixteen years. In spite of early onset of disease, most afflicted persons defer seeking treatment until their early thirties. BDD seems to affect men and women equally, however some studies report a slightly higher frequency in women. Increased prevelance of BDD is seen in dermatological and cosmetic surgery practices. Skin: scarring, color, wrinkles. Acne has been proposed as one of the most common complaints of BDD sufferers. Muscle: "muscle dysmorphia". Also has been described in the literature as the "Adonis Complex". overreliance on positive feedback from spouse, parent, friends, etc. decreased work and/or school performance and/or attendance. maintenance interpersonal relationships becomes strained or impossible. Major depression: greater than 75% suffer from depression in their lifetime, making this the most common co-morbid condition. Anxiety: greater than 60% of people will experience anxiety along with BDD. Substance abuse: 25-30%, with alcohol being the most commonly abused drug. Eating disorders: Anorexia and bulimia are relatively common. Personality disorders: including paranoia and personality-dependent disorders. Suicide: 58-80% of people with BDD experience suicidal thoughts, and 3-25% have attempted to end their life. Selective Serotonin Reuptake Inhibitors (SSRI) may help alleviate symptom severity and are the current medication of choice for treating BDD. Considering the proposed etiology by the neurobiological theory that Serotonin and Dopamine are abnormally metabolized, SSRI's help to maximize the effect of the body's own natural hormonal regulation. There is some evidence that SSRI's are more effective than non-SSRI's in terms of pharmacological treatment. Additionally, SSRI's are frequently used in treatment of many of the co-morbid conditions associated with BDD, including depression, social phobia, bulimia, hypochondriasis, and anxiety. In the United States, the most common brand names of SSRI's are Celexa, Lexapro, Prozac, Zoloft, Luvox, Paxil, and Anafranil. Though SSRI's have been well studied for the treatment of BDD, there are currently no FDA approved pharmacologic interventions for this disorder. SSRI's are often used in conjunction with non-pharmacologic therapy (e.g., Cognitive-Behavioral Therapy). Caution must be taken when discontinuing an SSRI abruptly due to the incidence of relapse. Other pharmacologic treatment options for BDD include anti-psychotics, benzodiazepines, lithium, serotonin-norepinephrine re-uptake inhibitors (SNRI), anti-epileptics, monoamine oxidase inhibitors (MAOI), and tricyclic antidepressants (TCA). These medications have only been studied in small trials, with TCA's and SNRI's demonstrating the greatest potential for therapeutic benefit. Diagnosis is made difficult because of the embarrassment that accompanies BDD, making a person with BDD reluctant to seek medical attention. More frequently plastic surgeons or dermatologists may suspect such a disorder based on frequent complaints and seeking surgical intervention. If a healthcare provider suspects BDD, then an immediate referral to a psychiatrist or psychologist is recommended. Neurobiological: There is some evidence to suggest a genetic component related to BDD. Studies estimate that approximately 20% of BDD sufferers have a first-degree relative with the disorder. Other hypotheses have theorized abnormal metabolism of serotonin and dopamine, inflammatory processes interfering with serotonin production, brain asymmetries specifically in the caudate nucleus, or injury to the frontotemporal region. Psychological: "Psychoanalytic explanations suggest that body dysmorphic disorder arises from an unconscious displacement of sexual or emotional conflict, or feelings of inferiority, guilt, or poor self image onto a body part." A Cognitive-Behavioral therapeutic approach suggests that emotional, cognitive, and behavioral factors combine to produce this disorder. Cognitive factors include an unrealistically perfect body image, excessive attention to perceived defect, or a misinterpretation of others responses to their perceived defect in social situations. Behavioral factors are theorized to stem from positive or negative reinforcement of certain physical characteristics and are likely related to social learning. Sociocultural: Physical and psychological changes occur due to reinforcement during adolescence (e.g., neglect, rejection, criticism) and may contribute to image dissatisfaction. Traumatic life events such as physical or sexual abuse may predispose a person to developing BDD. Even seemingly benign forms of teasing, if chronic in nature, have been proposed as contributing factors to development of this disorder - up to 60% of people with BDD report this in their social history. Eating disorders are known to have deleterious effects on entire body systems, and are unique to each specific case and disorder. As outlined above, pharmacologic intervention is almost always utilized for the treatment of BDD despite limited studies proving its efficacy. In addition to pharmacological treatment, psychological intervention indicated. 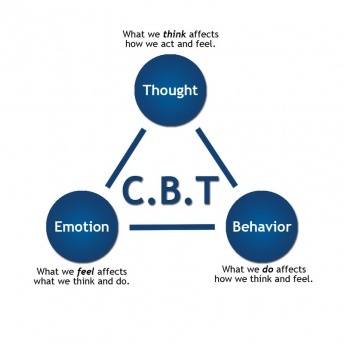 Currently Cognitive-Behavioral Therapy (CBT) is considered the gold standard treatment of BDD. CBT treatments may include elimination of excessive body checking, cognitive techniques to modify thoughts, intentional exposure to avoided situations, and coping mechanisms for their preoccupation. Ultimately the goal of CBT is to help the person to change the innacurate perception of their physical self and to place less emphasis on their physical appearance. Metacognitive therapy, which seeks to modify how a person thinks, has recently been used with limited success in the treatment of BDD. Persons with BDD are primarily treated by physicans and treatment of BDD specifically falls outside the scope of physical therapy practice. It is, however, crucial for physical therapists to be aware of BDD in patients as it relates to patient education, interpersonal interaction, personal wellness, and quality of life. Physical therapists are often the healthcare practitioner with whom patients feel most comfortable confiding in due to the nature of the profession and the personal time spent with the patients. Recognition of potential warning signs of BDD and appropriate referral is essential for physical therapy practice, particularly in direct access settings. The Brown Assessment of Beliefs Scale (BABS) is a reliable and valid psychometric outcome measure that physical therapists may utilize to quickly determine the degree of delusionality present in a patient suspected of having BDD. Physical activity has been proven to provide positive psychological benefits in addition to physical wellness and thus may be an appropriate adjunct therapy for persons undergoing traditional BDD therapy. It has been shown that persons with body image disorders had improved subjective perception of their body image both immediately after exercise and longitudinally after completing an exercise regimen. There are no case reports or case studies that describe Physical Therapy intervention for the treatment of Body Dysmorphic Disorder. ↑ 1.0 1.1 1.2 1.3 1.4 1.5 1.6 Crerand CE, Franklin ME, Sarwer DB. Body dysmorphic disorder and cosmetic surgery. Plast Reconstr Surg. 2006;118(7):167e-80e. ↑ 2.0 2.1 2.2 Bjornsson AS, Didie ER, Phillips KA. Body dysmorphic disorder. Dialogues Clin Neurosci. 2010;12(2):221-32. ↑ 3.0 3.1 3.2 3.3 3.4 3.5 3.6 Gupta R, Huynh M, Ginsburg IH. Body dysmorphic disorder. Semin Cutan Med Surg. 2013;32(2):78-82. ↑ 4.0 4.1 4.2 WebMD: Mental Health Center. Body Dysmorphic Disorder. 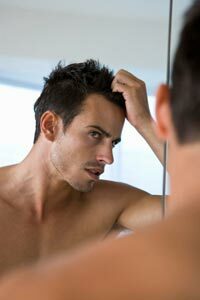 http://www.webmd.com/mental-health/mental-health-body-dysmorphic-disorder (accessed 3 March 2014). ↑ Onlymyhealth. Understanding Body Dysmorphic Disorder. http://www.google.com/imgres?imgurl=&imgrefurl=http%3A%2F%2Fwww.onlymyhealth.com%2Funderstanding-body-dysmorphic-disorder-1285581494&h=0&w=0&sz=1&tbnid=LZ67Cr1MthucwM&tbnh=240&tbnw=160&zoom=1&docid=3ZhrRNCJI4ZE0M&ei=rJwUU-HHO-GfyQG-8IDQDw&ved=0CAUQsCUoAQ (Accessed 3 March 2014). ↑ Koran LM, Abujaoude E, Large MD, Serpe RT. The prevalence of bodyfckLRdysmorphic disorder in the United States adult population. CNS Spectr.fckLR2008;13(4):316-322. ↑ Healthy vs Living. Body Image. https://mrkhealth.pbworks.com/w/page/64690414/Body%20Image%20-%20Aaron,%20Siddharth,%20Kyler,%20Ben (accessed 3 March 2014). ↑ 8.0 8.1 8.2 8.3 8.4 8.5 Ross J, Gowers S. Body dysmorphic disorder. Advances in Psychiatric Treatment. 17(2):142-149. ↑ Bowe WP, Leyden JJ, Crerand CE, Sarwer DB, Margolis DJ. Body dysmorphic disorder symptoms among patients with acne vulgaris. Journal of the American Academy of Dermatology. 2007 Aug 1;57(2):222-30. ↑ Danilova D, Diekhoff GM, Vandehey MA. A Multidimensional Scaling Analysis of Male Body Perception in Men With Muscle Dysmorphia: "The Adonis Complex". International Journal of Men's Health. 2013;12(2):83-105. ↑ 11.0 11.1 Phillips, K. A., Menard, W., Fay, C., et al. DemographicfckLRcharacteristics, phenomenology, comorbidity, and familyfckLRhistory in 200 individuals with body dysmorphic disorder.fckLRPsychosomatics 46: 317, 2005. ↑ 12.0 12.1 12.2 12.3 12.4 12.5 12.6 Gunstad, J., and Phillips, K. A. Axis I comorbidity in bodyfckLRdysmorphic disorder. Compr. Psychiatry 44: 270, 2003. ↑ 13.0 13.1 Phillips KA. Suicidality in Body Dysmorphic Disorder. Prim psychiatry. 2007;14(12):58-66. ↑ 14.0 14.1 Phillips KA, Hollander E. Treating body dysmorphic disorder with medication: evidence, misconceptions, and a suggested approach. Body Image. 2008;5(1):13-27. ↑ Neurotic Physiology Blog. http://scientopia.org/blogs/scicurious/2009/01/02/lets-talk-about-your-prozac-addiction/ (accessed 6 March 2014). ↑ American Psychiatric Association. Diagnostic and StatisticalfckLRManual of Mental Disorders, Fourth Edition, Text Revision.fckLRWashington, D.C.: American Psychiatric Association, 2000. ↑ Phillips, K. A. Body dysmorphic disorder: The distress of imagined ugliness. Am. J. Psychiatry 148: 1138, 1991. ↑ 18.0 18.1 18.2 Goodman CC, Snyder TE. Differential Diagnosis for Physical Therapists, Screening for Referral. Saunders; 2012. ↑ Rabiei M, Mulkens S, Kalantari M, et al. Metacognitive therapy for body dysmorphic disorder patients in Iran: acceptability and proof of concept. J Behav Ther Exp Psychiatry. 2012;43:724-729. ↑ Carnazzo Psychological Services. http://www.drcarnazzo.com/cognitive-therapy.html (accessed 6 March 2014). ↑ Phillips KA, Hart AS, Menard W, Eisen JL. Psychometric evaluation of the Brown Assessment of Beliefs Scale in body dysmorphic disorder. J Nerv Ment Dis. 2013;201(7):640-3. ↑ Scully D, Kremer J, Meade MM, Graham R, Dudgeon K. Physical exercise and psychological well being: a critical review. British Journal of Sports Medicine. 1998;32(2):111-120. ↑ Campbell A, Hausenblas HA. Effects of exercise interventions on body image: a meta-analysis. J Health Psychol. 2009;14(6):780-93. ↑ Ahmed I. Body Dysmorphic Disorder. Medscape. January 17, 2014. Available at: http://emedicine.medscape.com/article/291182-differential (accessed 6 March 2014).